Halloween isn’t all candy, costumes and horror movie marathons. For retailers, it marks one of the biggest sales opportunities of the season. According to the National Retail Federation, Americans will spend a projected $9 billion in candy, costumes and decorations alone. That’s an average of $86.79 per household, which is up from last year’s total of $86.13. This increase in spend comes as no surprise – in the second quarter of 2018, the U.S. economy grew at an annual rate of 4.1 percent, its fastest pace in the last four years. As we enter the holiday season on a strong note, retailers have the chance (thanks to consumer marketing) to attract consumers who are ready and willing to make a purchase. But, it won’t be as simple as opening the store doors and watching the customers pour in. Securing that purchase will require a little more effort – and that’s where sales and promotions come in. Promotions are one surefire way to catch the eye of everyday shoppers and stand out among the competition. But, we aren’t talking your average pop-up banner or sale sign – these days, shoppers expect something a little more creative. Let us explain. A study conducted by PwC found that the number of brick-and-mortar shoppers has grown from 40 percent in 2015 to 44 percent in 2018. Customers are no longer visiting stores for a quick trip, they are now expecting to be fully immersed in a brand’s overall look and feel. For today’s consumer, shopping is all about social, sensory experiences that resonate in an authentic way. To cater to this need, brands are investing in major wow factors that captivate shoppers’ attention while promoting in-store offerings. One service that has flourished in the promotional retail space is augmented reality (AR) and virtual reality (VR). Goldman Sachs estimates that retail brands will invest $1.6 billion in AR and VR by 2025, and brands are already getting creative with this leading-edge technology. Memomi, for example, lets buyers bypass the dressing room for an entirely new try-on experience. The innovative digital mirror allows shoppers to virtually try on clothes, play around with colors and patterns and even add accessories. With in-store experiences like Memomi, shoppers can conveniently access a store’s entire range of products and experiment with different styles while having a great time. 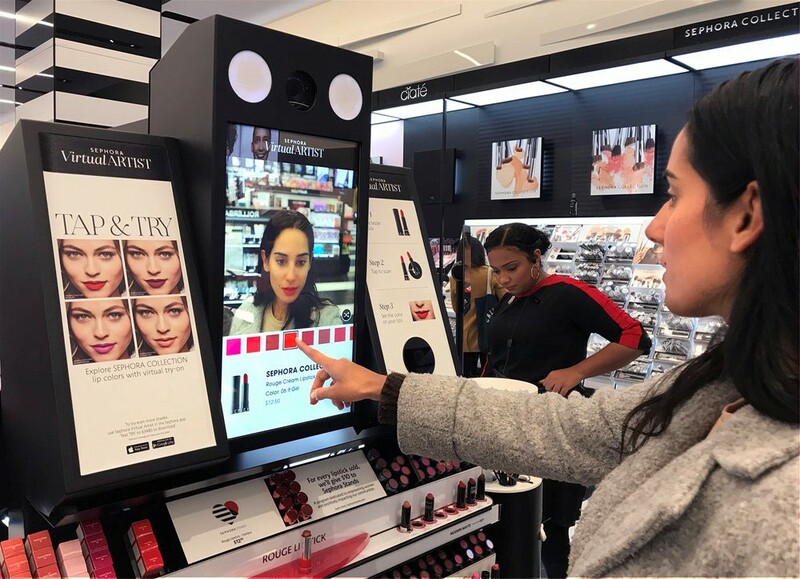 Makeup retailer Sephora has also adopted AR technology with their Virtual Artist, which lets shoppers “test” makeup products both in-store and on mobile devices. If the shopper likes what they see, Sephora makes it easy to quickly add the product to their cart for a user-friendly, yet highly interactive shopping experience. While this engaging technology certainly helps streamline the buying cycle, it is also a promotional tool in itself – when customers catch a glimpse of this unique retail feature in action, it will pique their curiosity and increase the likelihood of an in-store visit. Influencer marketing is fast proving to be one of the most effective ways to connect with shoppers while ultimately promoting your brand. 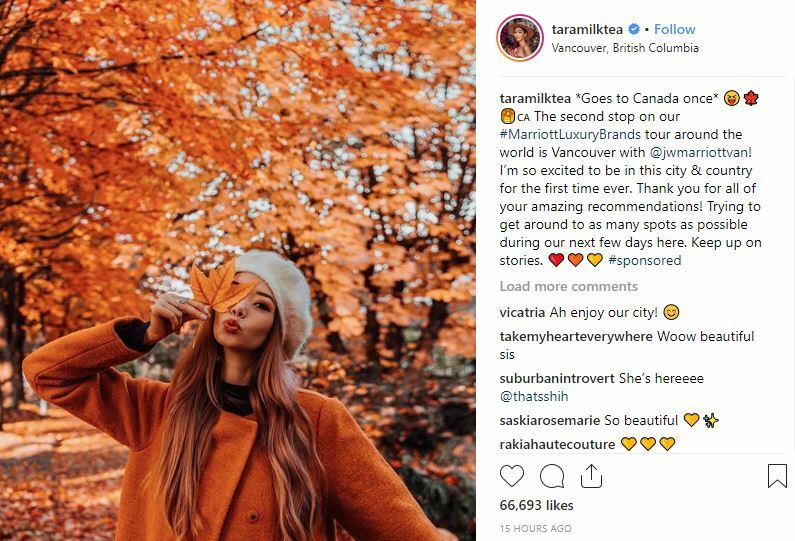 The success of influencer marketing all boils down to its ability to reach consumers in an authentic and genuine way, almost as if the influencer was providing a personal recommendation rather than an all-out endorsement. Since followers have already bought into the influencer’s lifestyle and brand, they’re more likely to trust the influencer’s opinion and purchase the items they promote. In addition to making retail experiences feel more personalized, influencer marketing is also incredibly versatile. There are micro-influencers, who are typically more affordable and reach a smaller, more targeted audience; medium-sized influencers who have approximately 100K to 1 million social followers; and, lastly, macro-influencers who come with the hefty price tag, but can also reach millions of potential customers. Plus, there is an influencer out there for nearly every segment of retail – fashion, food, fitness – and the list goes on. Whether on Instagram, Facebook or YouTube, influencer marketing is flourishing on a variety of social platforms. In fact, it has become so mainstream that Instagram unveiled a branded content option to make it easier for influencers to disclose partnerships with retail brands. A 2017 survey conducted by Linqia noted that 92 percent of marketers considered influencer marketing to be effective with 39 percent planning on increasing budget in 2018. In addition to raising awareness and driving engagement around a brand, 46 percent of retailers are now using product sales to determine the success of influencer marketing programs, which is a 12 percent increase from 2016. In June 2018, Instagram hit a whopping 1 billion active users, nearly a seventh of the global population. With so many people using Instagram on a daily basis, it’s no wonder the social platform has transformed into a lucrative sales opportunity for retail brands. The unveiling of new, integrative apps and technology, allows Instagram to act as a storefront, attracting a massive audience of prospective buyers to your brand’s products. Have2Have.it by Soldsie is one example of retail software that is reshaping how shoppers interact with retail brands on social media. The innovative program transforms Instagram profiles into engaging advertisements with clickable links that boost web traffic and revenue. In fact, Have2Have.it visitors have an 87 percent click through rate and spend 50 percent more time on the site compared to the average user. Here’s how it works: Link to your Have2Have.it profile URL in your brand’s Instagram bio. When a user clicks on this link, they will be taken to a gallery of curated product images where they can click on their favorite items. From there, customers will be directed to your website’s checkout page to complete the purchase. Have2Have.it offers many benefits for retail brands – it automatically tracks clicks and conversions, compiles shopper behavior analytics and creates customer email lists, among other useful features. From a more high-level perspective, Have2Have.it streamlines the entire online buying cycle, guiding shoppers from the discovery phase all the way to final purchase. 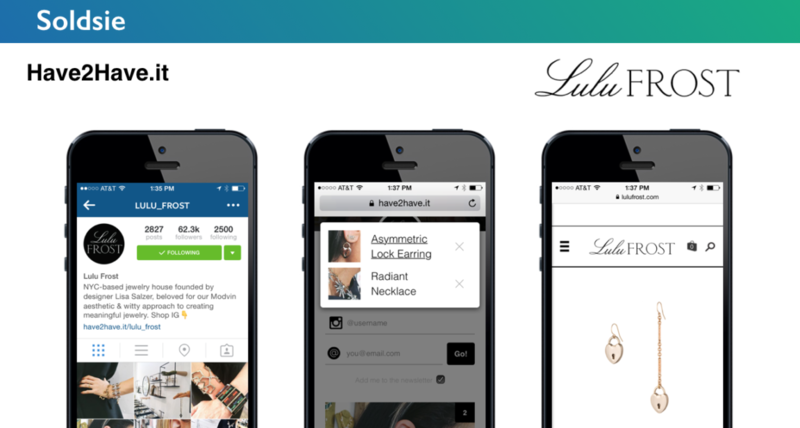 The service makes online shopping an organic, convenient and eye-catching experience, using Instagram’s highly visual layout and large audience to enhance ROI. There’s no better time than the holidays for retail brands to expand their marketing capabilities. 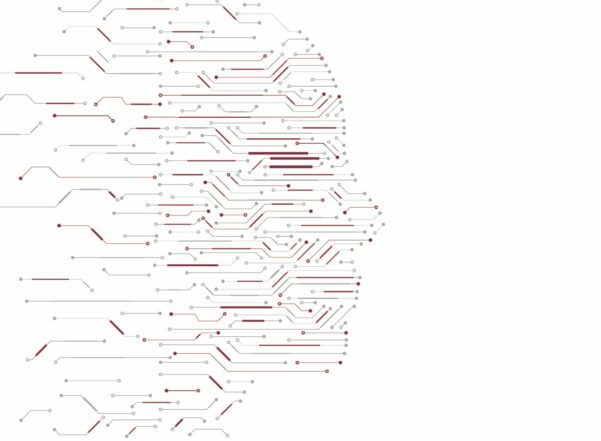 With new technology being developed every day, retailers have endless opportunities to reach customers and drive sales. To learn how Orange Label can assist your holiday marketing strategy, visit https://orangelabeladvertising.com/retail/.